General Rubber's degreed and licensed engineers excel in creating unique solutions for even the most demanding applications. We lead the industry in custom engineering solutions, using CAD and advanced simulation software to create optimized solutions. Our degreed and licensed engineers work side by side with our customers to develop unique solutions for even the most demanding applications. As an original equipment manufacturer we have the capability to design and fabricate custom performance products, and we take pride in our full design capabilities. We have created some very unique solutions in the past; in particular, we specialize in large-diameter and advanced arrangements such as pressure balanced and dismantling rubber expansion joints. Often times, customers' requirements are not achievable with standardized parts. General Rubber’s custom designs have included spacer plates, alternative split ring designs, one-off hardware for a single gimbal joint, hinge joints to accommodate more than a foot of ground settlement, shortened face-to-face options, pre-compressed expansion joint assemblies for easy installation, and unique self-retraction, as well as multiple arch offset arrangements. On top of our industry-leading creative solutions, we offer high tensile reinforcements facilitating higher pressures even at piping systems sized up to 144" in diameter. 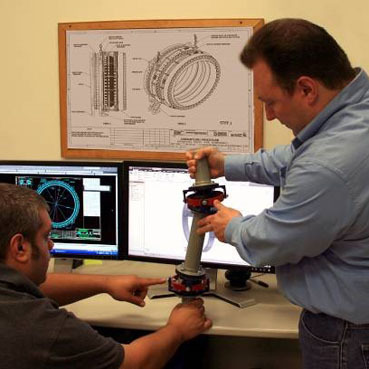 Our engineering team is an integral part of our Best Piping Practice and Optimization (BPPO) program, where they work primarily with pipe stress engineers, original equipment manufacturers, and other strategic partners to provide optimized piping solutions. This includes minimizing anchors and guides, as well as the overall system footprint, to achieve increased plant reliability, safety and energy efficiency. This is particularly important when there are load limitations on support structures, adjacent piping, and equipment. If you have a specific engineering challenge, or would like to work closely with our engineering team to optimize your piping system, please contact us.